How do we test CPAP Machines? Cheap or Expensive CPAP Machine? Should you buy a CPAP Machine using Cash or Insurance? 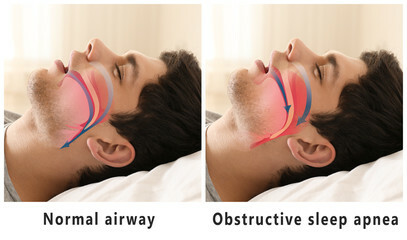 More and more people get diagnosed with OSA, obstructive sleep apnea, a condition that is defined by a blockage in the airway at the back of throat, causing difficulty in breathing and inability to sleep comfortably. Most patients with this condition snore heavily during sleep, and can experience temporary periods of difficulty in breathing. This normally disrupts sleep and could cause major sleepiness during the day, a symptom that could affect a person’s daily health and quality of life. Other complications include headaches, mood swings, and high blood pressure. Positive Airway Pressure devices (PAP) such as the continuous PAP (CPAP) and the bi-level PAP (Bi-PAP) are therapeutic devices that help patients with sleep apnea to sleep smoothly all through the night. PVA pressure relief technology to balance the pressure. In built humidifier with water chamber. The DC output feature makes it easily portable. Has a fine noise level that is almost impossible to hear. 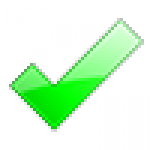 The auto adjusting aspect is a major preference for most users currently. Using this feature, the CPAP machine can be set to adjust between two ranges of pressure; high and low. The machine adjusts on a breath by breathe basis to provide the user with the pressure required for an effective therapy. The humidifier is integrated to the machine. 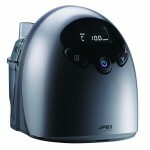 The humidifier serves to alleviate the side effects of CPAP therapy such as throat dryness and soreness. Choose the level of moisture among levels 1-6 that is comfortable for you during therapy. When the screen of the CPAP machine is not in use, it displays a clock that can serve as an alarm clock. You can turn up or mute the audible alert using the power button. The alarm clock though, does not play tunes. This CPAP machine preserves data of up to 90 days. It displays data on the well-lit screen. Basic and compliance data such as flow index, apnea index (AHI), hypopnea index (AHI), average pressure, total compliant hours and days etc. are recorded and displayed. This CPAP machine is light, it weighs about 2.94lbs. It has a small footprint and occupies less space in a surface. With an in built humidifier it does not need additional humidification units for comfort, and this makes it ideal CPAP for travelling. The CPAP machine can adjust the pressure during therapy even on the event of a leak. It is an advanced version of the S9 version by Resmed. Its wireless capability enables it to record data precisely. Low noise level when mask is sealed properly. Small footprint which is convenient for travelling. Wide design makes it less favorable for dense travel. Uses a different power cable from the older S9 version, cannot share. Topples over easily because the hose is fitted in the back, which lifts it up when the user shifts. Resmed’s algorithm has demonstrated it the ability of this CPAP machine to provide efficient therapy by eliminating any restraints on the airflow by every breath taken. It works by increasing pressure gently and then decreasing it when the event passes. It is recommended for users who have difficulty when changing sleeping positions. The HumidAir humidifier is built in for it to occupy less space, which makes it portable. The heated humidifier provides maximum humidification and controls rainout caused by condensation in the hose. Humidity can be adjusted through 9 levels, with 1 being the lowest, and 9 being the highest. The auto technology is a major preference for users today. The machine can automatically adjust to function effectively depending on the user’s specifications at the time to ensure an efficient therapy. This feature enhances breathing while using a CPAP machine by regulating the amount of pressure between periods of inhalation and exhalation, consequently mimicking that of natural breathing. EPR can be turned off or adjusted between 1-3, with 1 being the smallest change and 3 being the largest change. This CPAP machine has a vibrant color LCD display and menus that are simple to comprehend. You can manage your settings in My Options menu, such as humidity level, ramp time, mask fit, SmartStart, pressure relief during exhalation etc. A built in light sensor regulates the screen brightness in response to the adjacent light in the room automatically. After the lights have been turned off, the screen dims for a few seconds then times out to prevent disturbance during sleep. The machine displays the following advanced data on the menu; usage data, average usage, events per hour, leak rate, and AHI. It is so small and closely packed which makes it convenient for travel. The user interface is simple and straightforward. Lacks a data card, so it only records basic information and leaves out compliance data. Separate humidifier, which makes it an extra purchase. The Apex XT Fit machine has a substantial amount of weight, has a small footprint, and it comes with a strapping carrier bag which holds the machine and other accessories in place. This makes it ideal for traveling. The machine has a ramp feature which automatically adjusts the pressure suitably all through your sleep. It is a comfort feature that most users find advantageous in getting them to sleep. The display allows viewing basic information such as ramp settings and hours used easy in dark lit rooms, or during the night. The humidifier is known to ease the side effects of CPAP therapy. Side effects include but not limited to throat dryness, soreness, headache and others. You can add a humidifier for more comfort during treatment. This kind of CPAP machine is ideal for users with minor sleep apnea. Streamlined design that is user friendly. Has a small size and has a considerable amount of weight. Displays advanced data on screen such as the leak rate, AHI, therapy hours and days and periodic breathing. Noise level is high, which causes disturbance issues during sleep. Has a separate humidifier that can be detached; this makes it an additional purchase. This CPAP machine is built with a sleek design, which is user friendly. It is not weighty, it weighs about 2.94lbs. It has a forward facing display with a dial for navigating through menus. The machine also has a light sensor that adjusts according to the brightness level of the room. Its filters are designed like trays for them to slide in and out of the machine easily for washing and replacement. The dark blue filter is reusable and should be cleaned regularly, while the light blue filter should be replaced every 30 days, or as soon as it gets dirty. The machine examines the user and adjusts pressure accordingly. During the start of the therapy, the pressure level is low, and gradually increases in case of an interference in the airflow, then backs down after tackling the event. The OptiStart technology feature enables the machine to start the therapy session at 90% pressure reached at the last therapy session to help control leftover episodes that may take place at the early stages of therapy. This machine has advanced features incorporated to help the user monitor the success of the therapy. Some of the advanced features include smart ramp, mask fit check, regular alerts, Bluetooth, auto on/off and advanced data display. The smart ramp feature, as opposed to the traditional ramp feature, only tracks and increases pressure in the event of an occurrence, and not consistently throughout the therapy session. The transition between inhalation and exhalation sometimes can be rough. A-flex eases the transition by lowering the pressure levels during exhalation, therefore imitating that of natural breathing. This gives relief to the patient, which makes the therapy effective. This is an optional purchase that is fitted directly to the machine. It is built with dry box technology to prevent the water in the humidifier from getting into the machine. The water chamber is placed right inside the humidifier and can be taken in and out easily for cleaning or replacement. You can also have an additional heated tube to maintain the heat and moisture throughout the session for more comfort. This storage for the water chamber inside the humidifier gives the machine a small footprint; it does not require much space, which makes it ideal for travel. Products range in so many ways, and among distinguishing factors is the technology embraced, and the efficiency of the machine in general. Some of the Common complaints from CPAP machine users include the noise level. The machine could be too noisy, which could be caused by a mask that does not fit well, and therefore leaks air. Some masks are too constricting especially around the nose area, and they are not adjustable. Using a CPAP machine that is inefficient could harmful side effects like sore throat, dryness in the throat, some complain of headaches. A good CPAP machine that strives to deliver an effective therapy while providing comfort at the same time to the user, does not only work to alleviate potential side effects. Good quality sleep is paramount in ensuring we lead a healthy living in general. This CPAP machine review article is based on various levels of research and testing. We have engaged different kind of users to understand what really makes a CPAP machine. This group of users range from individual home users to hospital users. We also gathered data from various online sources such as customer and product reviews. Our team of experts analyzed the data using various methods, so as to identify which products had the best usage review and ratings. Finally we engaged a team of professionals across board from doctors to physical therapists to help us identify the characteristics that make a good CPAP machine. 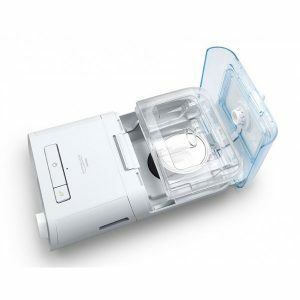 There are three types of PAP machines and they include the CPAP, APAP and Bi-PAP. CPAP stands for Continuous Positive Airway Pressure. It is the most frequently used treatment option. It delivers constant and pressurized air into the airway. APAP stands for Automatic Positive Airway Pressure. It is a non-invasive treatment that transfers pressurized and unclogged air through a mask during sleep. It has two range settings, low and high, that regulate automatically using an algorithm based on the user’s needs. Bi-PAP machines are a non-invasive treatment with two pressure settings, one for inhalation and one for exhalation. It is used to treat patients who express difficulty while breathing. Selecting a proper CPAP machine is critical towards effective treatment therapy, and cost is one of the important factors that will influence a buyer’s choice. Second hand and discontinued machines are the least expensive, and are designed to last up to 5 years. You could be buying a second hand machine with not much life left, and does not have any form of warranty from the manufacturer. Discontinued machines are heavily discounted by suppliers to clear their inventory. Most modern types have a reasonable useful life span of 5 years, and come with removable components that you need to replace. You need to ensure that the replacement pieces will be available during the 5 years. Expensive machines on the contrary, are mostly new, have a form of warranty and customer support, and are built with the latest technology to automatically adjust to the user’s needs. Today, the two leading manufacturers of CPAP machines are Resmed and Philips Respironics. CPAP machine features range in price, you need to decide which one to purchase for a successful therapy. If the CPAP supply is refundable by the insurance company, then it is a good alternative to save money, but if it is not, then cash is the other only option. Most health insurance companies cover the CPAP machines. High deductible simply means lower monthly premiums, and that some benefits are covered before you settle your deductible. If you have a high deductible, it is advisable to pay in cash especially if you have not met, or not even close to meeting your deductible, because cash prices are more economical than insurances prices. On the contrary, it is better to use the insurance plan if you have a low deductible plan. What is the status of your insurance plan? Have you met your deductible? If you have not met your deductible then pay in cash, if you have, make use of the insurance and get the most affordable price. If you are close to meeting your deductible you could also make the purchase using insurance. However, this depends on the price of the product you are purchasing. In case the product costs less than the outstanding balance on your deductible, like a CPAP mask for instance, then you will fetch the best price paying out of the pocket. If the product costs more than the unsettled amount on your deductible, like the CPAP machine itself, you would economize more using your insurance. If you have do not have insurance then the only option is paying through cash. Some people may prefer paying in cash anyway to avoid taking on other insurance stuff such as co-insurance. Some insurance companies might provide a selection of providers to deal with that you may not be contented with due to various reasons like location, product options etc. Most CPAP machines integrate battery kits. Battery department stores have manufactured universal battery kits to fit all types of CPAP machines. Resmed and Philips Respironics have come up with their own kits specially for their machines. The batteries can keep the charge for 1-2 days, while the deep-cycle marine battery can store charge for up to 3 days. The batteries can be recharged in different ways but the most common is using the DC outlet. Solar power is an option to recharge your battery it especially when going off the grid. You must leave it in the sun for at least 6 hours, and is perfect when going camping. A DC power cord can be connected to the CPAP machine if it has a DC outlet. You can use A DC adapter cable to offer power directly to a deep cycle marine battery. You will need an inverter or converter to convert the DC power to AC power if you do not have the DC outlet. Adapters have become a necessity when traveling with a CPAP machine that sources its power from a battery. Nevertheless, manufacturers have made intergrated batteries for travel CPAP machines for example the Transcend. They do not need additional cables or inverters to recharge. They directly affix to the CPAP machine and use the same cord the machine uses for charge, and is portable for use once the batteries are charged fully. One factor to consider before purchasing a CPAP machine is the duration of the warranty. Most warranties last 2 years (for example Resmed and Philips Respironics), others last 3 years. Most humidifiers have a 1 year warranty, some 2. Another important factor is the convenience and reliability of the warranty service. With some manufacturers you can exchange your faulty machine with a new functional one, without any waiting time. Some manufacturers though, will give you a refurbished one in the place of a brand new one. It is paramount that you check the manufacturer’s warranty policies before purchasing the product. Auto start/stop- most CPAP machines can recognize when someone puts the mask on and starts breathing, so they start up automatically. They also stop automatically when someone takes off the mask. Auto detects pressure– all APAPs have this characteristic. CPAP machines checks your sleeping performance as you breathe, looking out for apneas, flow hindrances etc. while adjusting the pressure level consistently. Pressure relief during exhalation– modern CPAP machines can imitate the natural breathing sequence by decreasing the pressure level at every exhalation. This alleviates the alteration between inhaling and exhaling, making the therapy comfortable for the user. Mask fit check- most CPAP machines detect when a mask fits perfectly or not. You can adjust the mask before therapy begins. Leak compensation- this is where the level of pressure is increased when there is a leak. This ensures that you can continue with your therapy even when a leak occurs. Heated hose– it keeps the humidity warm, making it more enjoyable breathing. It is a comfort feature that some CPAP machines have. Data tracking- you can check all kinds of information like usage hours etc. Ramp feature- ramping is when at the start of your therapy pressure levels are low, and systematically increases with time. This feature is meant to make it easier to fall asleep while on therapy. Bluetooth- allows the user to connect to apps. Modern designs look sleek and defined. Common ones are huge and difficult to carry around. Is it reliable and efficient? A good machine satisfies the purpose to which it was meant to serve. There are important features to look at, does it have the auto feature, leak compensation, does it have the mask on/off alert, is it portable, does it have the ramping feature, is the humidifier intergrated or separated. Does it have long lasting battery life? Does it have several plug-in adapters? Can it use a portable battery? The sound it produces should be as low as a whisper. Anything louder disrupts sleep. Humidifiers are not just an accessory. A heated humidifier turns heated water to humidity and delivers it through the airway. Throat dryness is one of the most common side effects of the therapy, and humidifiers play a huge role in resolving irritation. Patients above the age of 60, those undergoing more than 2 medications and those with chronic mucosal disease however need a humidifier. During seasons with high humidity you may not need a humidifier. You may need heated tubing for a heated humidifier to prevent rainout caused by condensation in the tubing. Saline sprays are a good alternative for humidifiers. Humidifiers should be cleaned regularly to keep you from the risk of infection around the area. Also fill it up with fresh water every day for hygienic reasons. A CPAP hose is a tube that delivers airflow and is used to connect the machine to mask, humidifier to mask and machine to the humidifier. There are two types of hoses, heated hoses and unheated hoses. Contains coils of copper that conduct heat. Minimizes condensation (rainout) in the hose. Are customized for certain machines. Standard tubing with a smooth inside. Rubber ends are not noisy. Can be used with different types of machines. If you undergo sore throat or dryness during CPAP therapy, then heated hoses and humidifiers could be beneficial. An unheated hose could cause a rainout due to the difference in temperature outside and inside the tubing, which could run into the user’s face, or dampen the bed. Additionally, covering a hose enhances the outcome of a heated tubing. Hoses should be cleaned often, using SoClean or mild soap and warm water, then air it out to dry. In case of any breakage, you should replace the hose immediately. There are a few other alternatives to consider while treating sleep apnea. One of them is simple, pillows. Pillows play a major role in placing your head and neck on a comfortable position to reduce interruptions caused by sleep apnea during sleep. They tilt the head in manner to control obstruction of the airway while sleeping and helps people with minor sleep apnea. Adjustable beds also play a role in ensuring comfort during therapy. Lifestyle changes also play a big part in ensuring a healthy living with sleep apnea. Habits such as smoking should be avoided by people with sleep apnea as this contributes to blocking the airway. Weight loss also contributes to eliminating obstructions in the airway and these two practices should be embraced by people with this condition. Sleep apnea is a treatable condition. 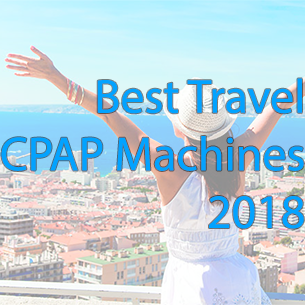 Developments have been made over the past few decades and modern technology is being used to produce better high quality CPAP machines, with much consideration on reducing the size and the noise level to make it quieter and more comfortable for users. It is important to consult a medical doctor or physician before starting or altering any treatment choices. Thank you for providing the characteristics of a good CPAP machine. That is very helpful! I may end up getting the S9 Autoset since from what I can tell and from the many reviews I’ve read, it looks like the best cpap machine out there right now. I don’t judge a product by the price it has but rather the reviews of others and then I use my own judgment before buying. This one fits perfectly within your criteria outlined in this page so it is probably the best. Thank you! I do the same thing as in read reviews, ask around and I also make a list of pros and cons for each item. It takes a bit of time but when I look into something I need I like to have all the facts. I guess most of us shopping online nowadays read reviews and start a list of cons and pros particularly for important items. I wouldn’t have it any other way. You are going to buy something really important for your health plus you’ll spend a bit of money on it so why not make sure you get the best CPAP machine. Read a bunch of cpap machine reviews and most people seem to like the Dreamstation Auto by Philips so I think I will give it a go. I like the small size and the fact that it’s lightweight and I hope this is the right machine to get. There’s also the adjusting light sensor that changes the screen brightness according to the light from the room – I think this is pretty important as well and a detail that makes this the best cpap machine on the market today. Don’t you just love it? I couldn’t live without the light sensor; I’ve gotten so used to it in the past months that I just can’t imagine not having the Dreamstation Auto. It makes life so much easier and yes, I agree, it’s probably one of (if not the) best cpap machine out there. 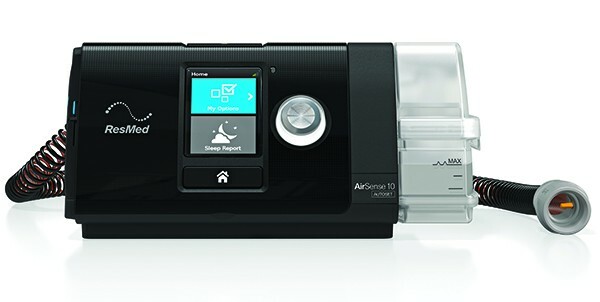 I went for the ResMed AirSense 10 Autoset with heated humidifier because it can adjust to my needs and because of the good cpap reviews. I’m now waiting for it to be shipped. There’s also a lot of features that I like and some that I will get to know once I get it. 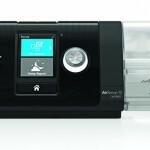 From what I’ve read (here and on other places online) the best cpap machine seems to be the ResMed AirSense 10 Autoset. I might be wrong, but it seems like it has a lot of the features I would want so I’m going for that. I agree. 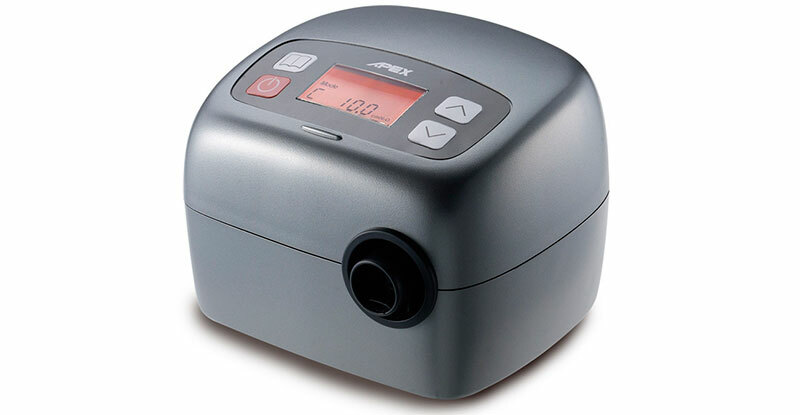 The ResMed AirSense 10 is one of the best CPAP machines out there right now. I’ve been using it for some time and I’m very impressed with what it offers. Compare it with any other machine and you’ll probably see it’s better. Thank you for explaining what each of these machines does and how it differs from the others. It has made my decision a lot easier and it also saved me some money not to mention time. I can’t wait to sleep better. Has anyone tried the XT-FitCpap machine? It looks interesting to me and was wondering what others thought of it. It’s small which I like a lot and it looks good (doesn’t look as bad as other models). Thanks guys and gals! I like this article, very helpful! I especially liked the characteristics of a good CPAP machine – that helped me get the best one for my needs which ended up being the ResMed AirSense 10 Autoset with heated humidifier you talk about here. thanks for the information and for the reviews! as a first time CPAP user, I am looking into options and I appreciate the valuable information and feedback I’ve found here. So far, this has been the best information I’ve found. I also like that they keep updating this page (and the others) with new information or products. I like that. 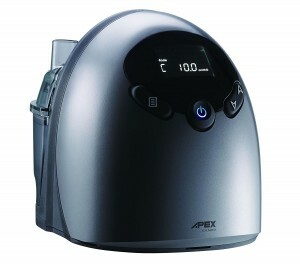 I was able to get to get the Apex CPAP machine which is one that suits my needs and budget. Thank you. This is one of the best pages with reviews on CPAP machines I have found online! I always like to take my time before buying something this important and this was very helpful for me so thanks for the effort and for updating it. I’m mostly interested in the noise level and the humidifier. If these two things are up to par then I’m getting that CPAP. From what I can tell, the AirSense 10 and the Dreamstation Auto by Philips Respironics seem to fit these well. Am I correct? You guys and gals got a like from me as well – love the site and I recommend you to a few friends that are looking into getting a CPAP machine. Thank you for your reviews – they help us a lot! It’s so sad to see the winx sleep therapy system just fade away. It was a very good system. My niece has used their products and she was feeling much better. I would like to see someone (anyone) pick up their products and start selling them once more. My sister’s doctor recommended she undertake a new sleep apnea treatment starting with getting a new CPAP machine. He recommended the Apex Medical iCH 2 and now I see why. How can you not love the auto adjusting feature? The noise level is low and it’s easy to carry around.